As previously announced, freaked out over and constantly dreamcast in the Broadway.com offices, Moulin Rouge! is officially getting the Great White Way treatment! Based on Baz Luhrmann's resplendent 2001 film starring Ewan McGregor and Nicole Kidman, the in-the-works tuner already boasts Alex Timbers at the helm and Tony winner John Logan as its scribe. And apparently, we're not the only ones caught up in the fandom. 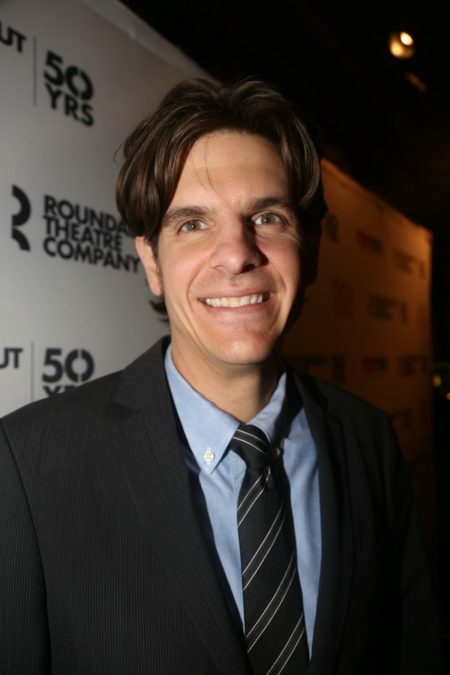 Hailed director Timbers, known for his work on cult fave Bloody Bloody Andrew Jackson, Peter and the Starcatcher, Rocky and this season's Oh, Hello, exclusively told Broadway.com: "I’m really excited that John Logan is writing the book because he is fabulous writer. I’ve been a big fan of his movies and The Last Ship and so to get to work with him—it’s really an awesome moment." In case you didn't know (and if you don't, go watch this instant! ), Moulin Rouge! is set in the Montmartre Quarter of Paris, France and tells the story of a young poet/writer, Christian, who falls in love with the star of the Moulin Rouge, cabaret actress and courtesan Satine. As for the timeline for Moulin Rouge! 's highly-anticipated Broadway bow, Timbers told us: "We're still in the early stages." Come what may, we know this production is going to be spectacular, spectacular!